In vitro fertilization (IVF) involves a number of procedures, some of which help prepare you for the actual transfer of the embryo. One of them is a mock transfer, a preparatory examination that will help your doctor establish where the embryo will go and when the actual placement of the embryo will happen. 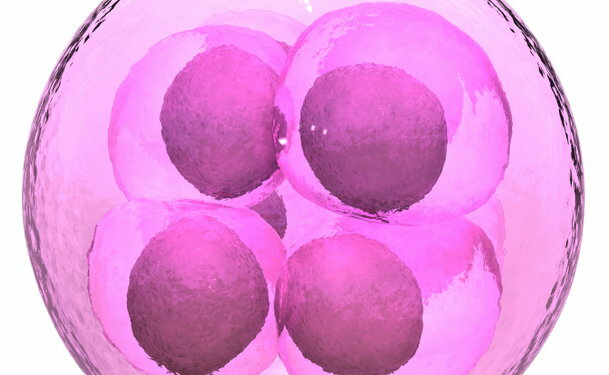 What is a mock embryo transfer? A mock embryo transfer (also called a mock ET or mock transfer) is like a dress rehearsal or trial run performed before the actual embryo transfer in an in vitro fertilization procedure. Your doctor needs as many details as possible about your uterus so that when the embryo is ready for transfer, your doctor can place it in the most optimal position to maximize the chances of implantation. The mock transfer allows your doctor to determine the size, direction, and other specifics of your uterus. It also lets your doctor know if there are any potential problems or obstacles to the transfer of the embryo. Not every fertility center requires a mock transfer before performing an actual embryo transfer. At some clinics, it may depend on your medical history. How is a mock transfer performed? Introduces a small catheter guided by ultrasound imaging into the uterus through the cervix. Then your doctor will take some notes or record some images, which will help when the embryo is actually transferred. These are the observations that will help your doctor determine the optimal position in which to insert the embryo later on. The whole procedure should take no more than about 10 to 15 minutes. In some cases, your doctor will ask you to drink water about an hour before the procedure so that your bladder is full. A mock transfer can only be performed at times in the menstrual cycle when the uterus is not enlarged or modified in any way. Many fertility specialists perform a mock transfer as part of the initial IVF consultations, but only if the timing is right in terms of your cycle. Other doctors do the mock transfer at the same time as cervical cultures. During a cervical culture, a swab is used to gather samples of mucus and cells from the endocervix, which is the region around the opening of the uterus. These samples are sent to a lab and placed in a dish, then examined for infection. Does a mock transfer hurt? Most women say that a mock transfer doesn't hurt, but you may feel cramping or some degree of pain. The cramps usually go away within a few minutes, but on occasion can last for a few days. In most cases, you will be able to go on with your normal daily routine after the procedure, though you may want to take a day off if you're also undergoing other tests, such as a cervical culture. To prevent discomfort during the mock transfer, you can take some pain medication or non-steroidal anti-inflammatory medication (with your doctor's permission) one or two hours before the procedure. Some patients experience some light bleeding for a few days afterwards. The likelihood of developing an infection is very low.